Free shipping on orders over $200. 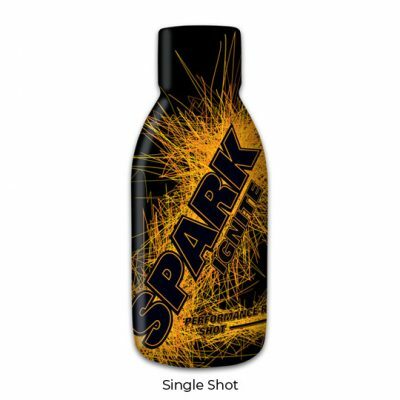 Spark Ignite Pre Workout Performance Shot comes in convenient…	Category: Spark. Spark Ignite Pre Workout Performance Shot comes in convenient 90ml shot bottles. Bottles are $4.95 each and can be bought individually or in boxes of 6 bottles. 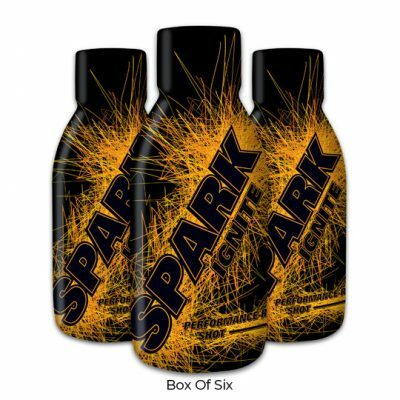 Drink Spark Shot 10 minutes prior to any training session or competition to maximise effectiveness. It is common to experience a transient ‘tingly’ feeling (paresthesia) which you will quickly associate with your peak performance. Spark is not a shot reliant on caffeine or sugar so benefits are prolonged. After exercise, use Spark Recharge to aid in your recovery. RECHARGE uses a key ingredient, leucine, which upregulate the body’s muscle building machinery through the…	Category: Recharge. RECHARGE uses a key ingredient, leucine, which upregulate the body’s muscle building machinery through the mTOR pathway (an intracellular signalling pathway important in regulating the cell cycle), to ensure athletes recover, repair and build muscle more effectively and efficiently. RECHARGE come in a 150g pouch in the form of a foam (stable at room temperature) and is available in three flavours: Zesty Berry, Burnt Vanilla & Dark Chocolate. 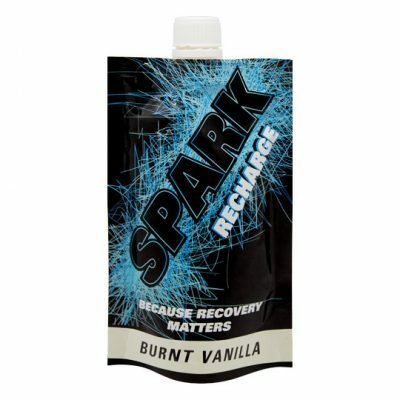 For pre workout performance shots, check out our Spark Ignite products. RECHARGE uses a key ingredient, leucine, which upregulate the body’s muscle building machinery through the mTOR pathway (an intracellular signalling pathway important in regulating the cell cycle), to ensure athletes recover, repair and build muscle more effectively and efficiently, post workout.